Stock product - detailed vector illustration - Isometric Building Collection - Game Set 07 - created by Aurielaki. Image formats EPS AI JPG. SKU: Game-Set-07-Building-Isometric-AurielAki. Categories: Isometric Building Icon, Isometric House. 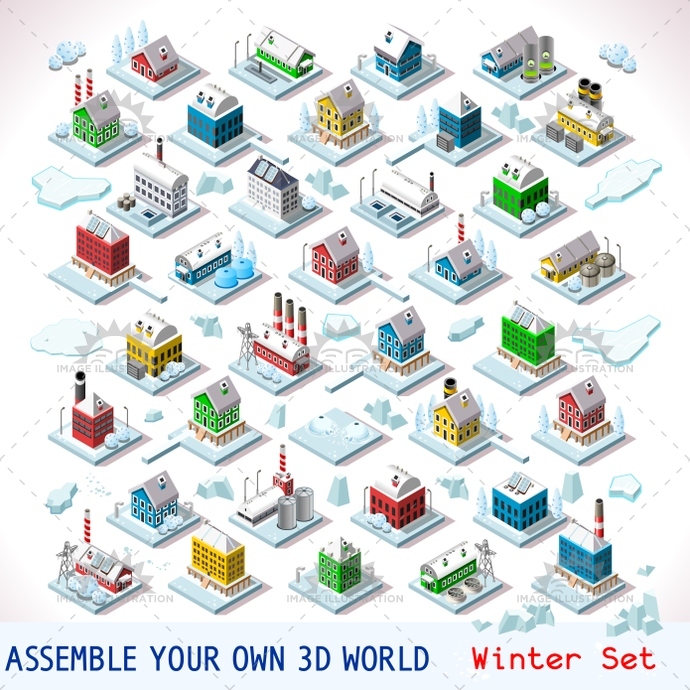 Tags: app, arctic, building, business, cartoon, city, collection, cottage, development, element, estate, farm, flat, game, hotel, house, houses, ice, illustration, insight, isolated, isometric, lawn, luxury, map, mega, mockup, nordic, park, plan, private, project, property, real, set, sign, site, snow, stylish, template, tiles, town, urban, vector, villa, web, white, winter, work.